INDUSTRY.co.id - Tangerang, the leading property developer in Indonesia, PT Duta Pertiwi Tbk. (stock code: DUTI), will continue to improve performance and assets in 2018. Over the past year, DUTI has managed to generate Rp1.72 trillion in Operating Income and Net Income of Rp535.31 billion. Revenue is in line with the marketing sales of Rp878, 2 billion. In addition, DUTI also succeeded in growing Total Assets by Rp10.58 trillion or 9.12% in 2017 compared to 2016 amounting to Rp9.69 trillion and Total Equity of Rp8.33 trillion or 6.95% in 2017 compared to in 2016 amounting to Rp7.79 trillion. "We are optimistic that the property performance in 2018 will improve, as economic growth above 5% and people's purchasing power will continue to improve," said Teky Mailoa, President Director of DUTI in Tangerang (23/5/2018). Teky said that during the period of January-March 2018, DUTI has sold at Klaska Residence in Surabaya worth Rp366 billion. 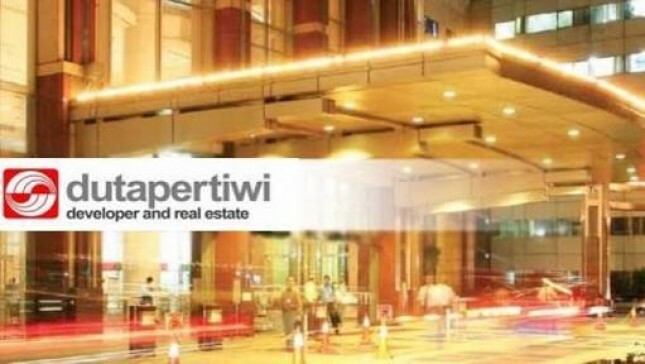 In addition, DUTI also gained sales from the Southgate Apartment project in TB Simatupang area worth Rp253 billion, and sales were also donated from the sale of Kota Wisata project, Legenda Wisata, Taman Wijaya and Grand Wisata. Meanwhile, DUTI shareholders have approved all agenda discussed in the Annual General Meeting of Shareholders (AGMS), which was held on Wednesday, May 23, 2018, discussed a number of main agenda, namely Annual Report approval, approval of Financial Statement and Report of Duties Supervision of the Board of Commissioners of the Company for the fiscal year 2017 and the appointment of a public accountant for the fiscal year 2018. In addition, the other agenda discussed is the determination of salaries and allowances for members of the Board of Directors and the determination of honorarium and the disbursement of members of the Board of Commissioners for the Fiscal Year 2018. "All the agenda of the meeting has been agreed and approved by the shareholders DUTI is ready to move faster to seize new opportunities in the future that can improve our performance," said Teky. As of December 31, 2017, DUTI has good prospects as it has an undeveloped land area of ​​1,311 ha or Rp4.25 trillion, including in Benowo Surabaya, Cibubur land, Grand Wisata and Kota Wisata. DUTI also has investment properties worth Rp1, 31 trillion including Sinar Mas Land Plaza, Mega ITC Cempaka Mas, ITC Kuningan, ITC Depok, Grand Wisata, DP Mall Semarang and Aeon Mall Southgate.